On March 19, IL VOLO was a guest at the famous Bolshoi Theater in Moscow, for the SECOND BRAVO AWARDS ceremony. For those who could not follow the whole event, let’s recap everything from the beginning. Monday 18 March, departure for Moscow. In this video, the usual Ignazio joker on the plane says he wanted to try to read the safety instructions of the plane, but says it’s a little complicated (they are written in Cyrillic) !!!! Here they are on arrival, with some fans. This photo was posted by Piero, and shows the theater in its beauty. And here we are on the big day, the boys are simply beautiful !! I would say that guys take our breath away because they are elegant and beautiful. They wear Armani, and they wear it just fine !! And here we are at the time of the event ….. the curtain rises, IL VOLO sings “Libiam de’ lieti calici” from Traviata. Too short, all over, good as always. What is surprising is that these guys go from a pop program to a classic program with such a disarming ease. But let’s enjoy some more shots. Reposted from @bravopremia – Yesterday, the Second BraVo Awards ceremony took place on the Bolshoi Theatre stage. We are pleased to share with you some photos from the red carpet, which brought together the best artists: opera and ballet stars, world movie stars, guests and participants of the ceremony. Here they are with Alessandro Safina, an Italian crossover singer. Like all good things, end soon, and they are already there when they return. Ok guys, go on like this, fascinate everyone with your skill and your charisma. You have added dates to your tour that becomes, always longer, you will also be in Russia and Hungary ……. but here, everyone is waiting for the dates for the Canada and USA tour !!!! It was a memorable event. What about, Gianluca, Ignazio and Piero, so close to Pope Francis, in such an important event, followed by about 600 thousand young people present and millions of people on television? It was very emotional and I think the guys have felt the weight of this great emotion on their shoulders and also of this great honor. They were emotional, as we were, who followed them from afar. . . very touching and emotional. Here is the video, for those who could not follow them live. Also nice is this video taken from another angle. Seeing them again causes shivering in me. 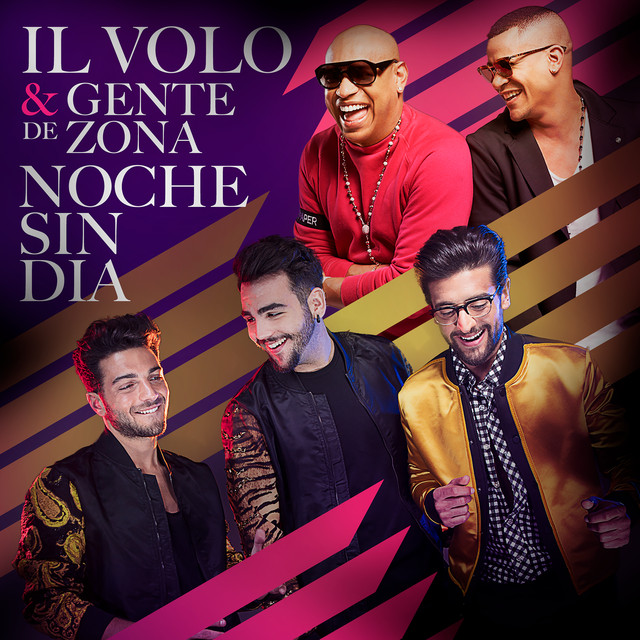 Of course they could not be presented to the world, the event was the World Youth Day, not IL VOLO, but they were there, present before the Pope, emotion to the stars! Surely this experience will always remain in their hearts. From that position they could see a tide of young people, united by moments of prayer and truly unique contemplation, the silence was impressive. Piero, Ignazio and Gianluca in a selfie with Sua Santità (His Holiness) Pope Francis …. incredible! In this photo, Piero, Ignazio and Gianluca offer Pope Francis a gift of a jewel created for him. These videos was made by Gianluca and Piero, we see the Pope and the crowd – really immense. Instead, this video was made before the event. P = This is a message for all young people like us. G = We are honored to be here in Panama at WYD, you are so many, there are almost a million young people. I = It will be a great emotion, also because for us it is the first time we sing for the Pope, we will sing a very special Ave Maria, we hope to be close to all the young people, with music, on this spiritual day. P = Long live the WYD and the Pope. Yesterday during the singing tests. I am very happy that you all have also been able to enjoy the event live. By testing we saw that the TV2000 streaming channel was often stuck and so Pat did a search and saw that the EWTN channel was better for you. Presenter = Yesterday at the vigil IL VOLO also sang, let’s see how this performance went. P = Some time ago we had met Pope Francis in a private audience and we gave him, an AVE MARIA, a special record, just for him. I = Surely it was a great experience of life, both for our personal lives, and also for our career. P = This was the perfect opportunity to understand how beautiful and important it can be, to share all kinds of music. G = We can say that it was one of the most beautiful experiences of our lives. It all passed very quickly, but it was an indescribable moment. The boys were very serious, as it should be on these occasions. They are never out of place, always appropriate to the event. I was very proud that IL VOLO had this wonderful opportunity, it was an honor, and they certainly did not waste it. It’s Christmas Day, it’s 11pm in Italy, on RAI 1, as promised, the special registered by IL VOLO in military camps in Lebanon begins, based on an idea by Michele Torpedine. I try to translate for you by summarizing in degrees. The video is interspersed with actions taken at the base, songs performed by the guys in the military canteen and songs performed on stage during the concert. Between one connection and another there are also personal greetings from the military to their families at home. The video speaks for itself, simply magnificent. The clickable link is below. Begin with the speech of the defense minister Elisabetta Trenta. “Hi guys (she turns to the military) , tonight, I had to be with you, but I can not, because I’m here in Afghanistan with your colleagues, here behind me, and they greet you with me. I take this opportunity to give you many Christmas greetings, to wish your families best wishes, to bring you my greetings, greetings from the government and the whole country. Thank you for what you do, thanks to your families who, perhaps, will look at us right now, thanks to everyone and, very soon. and on their arrival received by the military. On the bus to the base, Captain Gianluca Rosa explains that they are approaching the base near Shama, about 10 km from the Israeli border. G = It will be an adventure that we will certainly tell, first of all to our families, but then also to our children and grandchildren. To Gianluca, Piero and Ignazio are assigned a room like those of real soldiers. 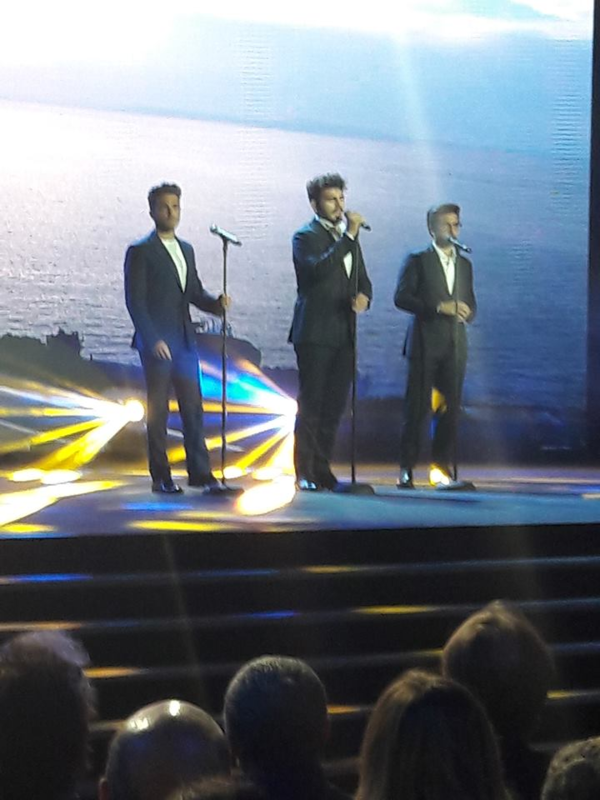 Welcome is given with applause to Ignazio, Piero and Gianluca de IL VOLO. Military = For us it is the most significant moment of the day. I = I have to say that behind me I heard people in tune. P = Behind me, a little less !! From the theater of Tiro, White Christmas. The guys go to visit the souk, the typical Arab market. The mission of the blue helmets is explained to the guys. The blue helmets must be impartial towards the people, they must understand and deepen the knowledge of the people of those places in order to have their trust. From the canteen of the military: Santa Claus is coming to town. Ignazio = I was born in Bologna from a Sicilian family, I always lived Christmas as a return to Sicily to my grandparents and uncles, then, the true spirit of Christmas, I’ve been feeling it now in recent years, since we started traveling, is the only time of year, Christmas, more beautiful, because we can return home to families, I personally to my sister, that I, I hardly ever see. Piero Ignazio and Gianluca then visit the archaeological site of Al Bas di Tiro, of Roman and Byzantine culture. Gianluca = At Christmas I always sang in church, I sang the Ave Maria and Panis Angelicus. My grandfather very happy in the front row, even the parish priest of the village, because I live in Montepagano, a small town near the sea, in Roseto degli Abruzzi, so we all know each other and as a child they knew me as the singer of the country, we are a big family in my little country. This is nice, because everyone loves me and I love everyone, as when I go out in the morning to have coffee at the bar, even Christmas is wonderful because everyone gathered in the square and we celebrate Christmas together as a big family. From the theater of Tiro, Silent Night. The boys are made to wear a blue helmet, symbol of military in peace action UN. Piero and Gianluca enter a tank. Ignazio explains the function of the automatic defensive turret. I = It is a beautiful responsibility and a great tension every time you use a vehicle of this type, of course it is your job, but behind it there is a series of sacrifices and study. From the canteen of the military: Christmas Medley. Ignazio asks the commander what UNIFIL means. The general of division Stefano Del Col explains that UNIFIL is very important because for 12 years it is the guarantor of peace in the area, controls and recalls those who border and guarantees that the borders are controlled. It includes 43 nations, 10,500 peacekeepers and 1,000 civilians. The blue bins delimit the dividing line and are spread over 120 km and guarantee a strip of peace. Ignazio says that they are honored to have been part of the story in the few days they stayed in Lebanon. Piero thanks the general for dedicating part of his time to them. The general thanks IL VOLO for bringing a piece of Italy in this Middle Eastern context. Together they wish Merry Christmas. From the theater of Tiro and from the canteen of the military : Grande Amore. There are always two helicopters ready for any mission. P = Today, as soon as you breathe Christmas air, you breathe the air of home, because fortunately for the work we do, we turn a lot, we are hardly ever at home, but Christmas is a must return, also because our families have separated, some cousins have left for abroad. Unfortunately in Sicily there are not so many job opportunities and some have been forced to leave home. So Christmas is a moment of recollection for everyone, I can only think of a “moment of joy”. From the canteen of the military : Smile. From the theater of Tiro : Adeste Fideles. Piero, Ignazio and Gianluca, sing, in the canteen of the military, along with the children who were orphaned, and who now live in the military base. I = Today we sang with the children, a Christmas song. Even more beautiful, it was hear them sing in Italian. P = This morning, singing along with those “magic” children, was a set of indescribable chills. G= Today we had the great privilege to sing along with some children who unfortunately were orphaned because of the war. That gave us an even stronger emotion and it was really moving. From the theater of Tiro : O Holy Night. A moment of leisure, a game of football in the military base. And Jingle Bells played with Arabian atmosphere. From the canteen of the military : ’O Surdato Nnammurato. From the theater of Tiro : Volare (Nel Blu dipinto di blu). P = For us it was a very special Christmas, we hope to have given you a smile. I = Special because … starting from playing soccer with the children, doing crazy experiences inside a tank, by helicopter, letting us explain the life of these soldiers. Everything was exciting. G = Also because these experiences make you a better person, enrich the soul, and we can say that, despite our different characters, this experience has united us three even more. I = Being here, has made us more proud of being Italian. PIG = Merry Christmas and Happy New Year. Torpedine = The next event will be in Panama, at the end of January, on the World Youth Day, the meeting with the Pope. We hope to travel with him and sing the Ave Maria during the Pope’s Mass. Here are the guys with the RAI troupe who followed them in Lebanon. This program has thrilled me so much, I was very proud of my “Italian being”. These guys are really UNIQUE, immense treasures, sensitive, educated, humble and good. The idea of the program was Torpedine’s and I must say, honor of merit, he always has some brilliant ideas. The topics were treated in a delicate way and the songs were followed with such sweetness and involvement. The latest news given by Torpedine, the presence of the boys at World Youth Day, where they will sing before the Pope was another twist, another step that makes me even more proud of them. 2019 will be a very intense year indeed. But no fear will come on tour in America, wait and see! Of course, despite VOCI DI NATALE was broadcast on RAI 1 at 11.00 pm, you must know that it has made the record of ratings !!!! News that makes us even happier. Il Volo Mundial (Oficial) for the Facebook video. The holidays have also begun for IL VOLO. In this period there will be little new news, and so we often use the time to review old videos. It’s just what I did, and I tried to find videos, which maybe, not everyone has seen, or at least I hope so. The first video is from 2010. I had seen only small fragments here and there but never everything, and my research had led to nothing, but in these days, thanks to Connie Bruns who tracked and shared, here it is. “O Sole Mio”, filmed in Taormina, when, going to play a concert there, it was still a dream for our guys. What are you saying? This video has brought good luck !! But how small they were … and that final hug … very sweet !! Someone uninvited, a transvestite, enters the stage during the concert and walks, people laugh, thinking that is part of the show, the guys are amazed at the presence, but continue to sing, as real professionals, as long as someone sends out this person. 2014 During the concert in Mexico they perform with the Mariachi. 2015 From the studios of Radio Rai, CANZONE PER TE. And after this feast of old videos, I hope to have found some that you had never seen, but anyway, even if already seen, I bet you have re-seen them willingly, is not it? Credit to all owners of videos and photo.